The indie folk band Horse Feathers will be performing at The Mill on April 5th at 10 p.m. as part of the 2018 Mission Creek Festival. Tickets are $15 and also gain entry to the two other performances at the venue that night, the entire lineup kicking off at 8 p.m. 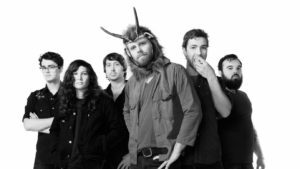 Started initially in 2004 by singer/songwriter and bandleader Justin Ringle, the Portland, Oregon based band has changed several times throughout its existence. 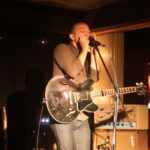 After bouncing between several rock bands around his home state of Idaho, Ringle moved to Portland and fixated on the acoustic genre. A year later, another musician named Peter Broderick heard some of Ringle’s demos and offered to help add some instrumentations to the songs and build them up. Horse Feathers was from then on a duo, and the two released their debut album, Words Are Dead, in September of 2006. Bringing in more people, Broderick’s sister Heather Broderick joined the band the following year on cello and the band continues to feature new members as time goes by. After releasing another album entitled House With No Home with the independent record label Kill Rock Stars, Peter and Heather Broderick left the band one shortly after another in 2008 to pursue other musical projects. The band gained the new members of Nathan Crockett, Catherine Odell, and Sam Cooper as instrumentalists following Broderick’s departure. A few more transitions have occurred since then, and the band now sits at five members. No matter the members of the band, their commitment to creating inventive acoustic music has stayed constant. 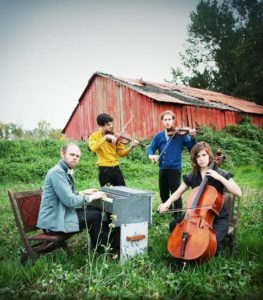 Horse Feather’s music features a wide array of instruments with an emphasis on strings. The band’s pieces typically contain guitar but aren’t limited to them, integrating folk instruments including banjo, mandolin, violin, and others that give their music a unique sound. Intricate instrumental backdrops showcase the talent of the band members and set up a lovely contrast to Ringle’s calming vocals. While some certainly pick up speed and energy, the majority of their tracks focus on a quaint and emotional atmosphere which bring listeners to a pleasant reverie. In an interview with Mission Creek Festival, Ringle discussed how Horse Feathers has evolved over the years and his experience with it. He says he considered leaving the music industry altogether after touring in 2012, but decided to focus on having fun with music. 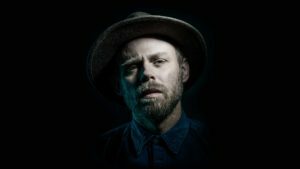 After playing a show with the band and some of his closest friends, Ringle had a realization in conjunction with the feelings that resulted from the high energy performance. “We liked it, and the unusual feeling that I had after that show – which I think is referred to as ‘joy’ – became something I wanted to experience again. I shared more. I stopped editing myself as much. 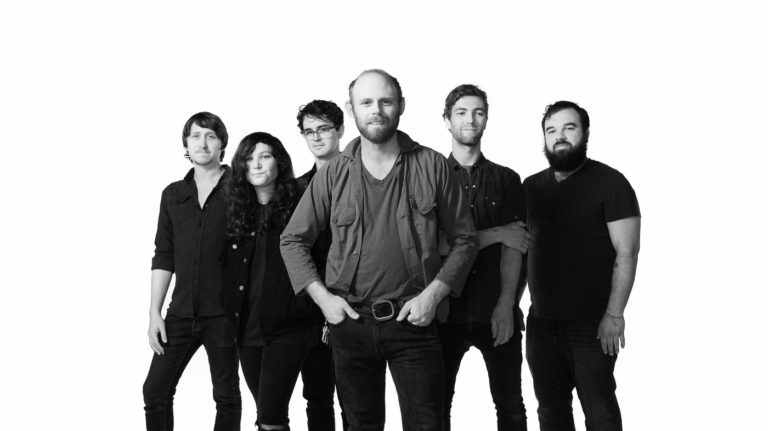 After Iowa City, the band will continue on a tour around the U.S., details of which can be found on the Horse Feathers website. Check out Horse Feathers at The Mill on April 5th, and be sure keep up with the rest of Mission Creek Festival events.